MUJI, Japan’s legendary “brand-less brand,” is expanding its West Coast empire. With ultra-basic furniture, clothing, electronics, and more headed for San Jose, California in April, we decided to stop by the company’s flagship store in Tokyo to see the latest in self-effacing design. 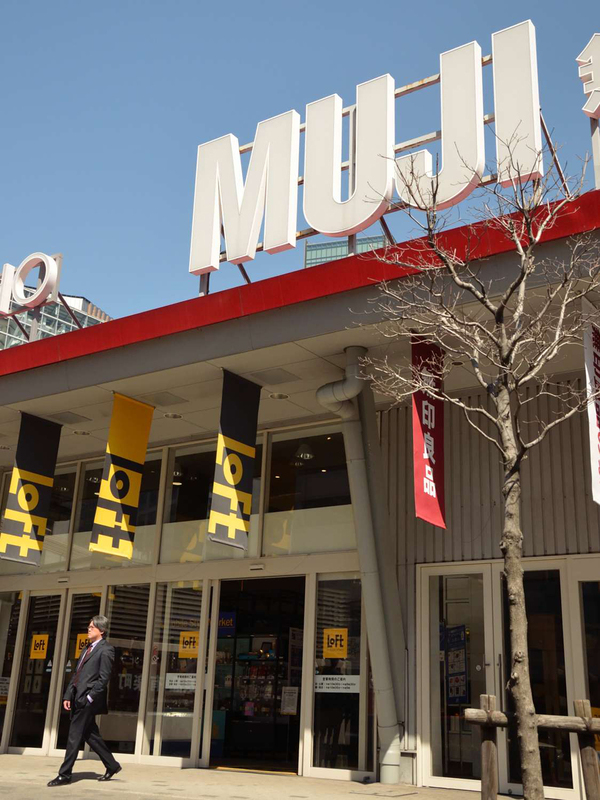 MUJI lovers be forewarned: the full MUJI experience can still be had only in Japan! All 7,000-plus MUJI products are on sale at the three-floor Yurakucho shop. Natural wood, white, and brown are the MUJI colors of choice. Here’s a happy exception: a red Roundish chair. Too bad it’s only available at the Yurakucho store! Ail Vase Lamp by Idée, MUJI’s more colorful partner company. Also from Idée, the Ao Sofa. Just the right size for a Tokyo micro-house. Naoto Fukasawa’s classic wall-mounted CD player has a new matching speaker—and who can resist pulling the cord to turn it on? For now, the player is available in the US, but the speaker isn’t. MUJI’s artistic director Kenya Hara says the company tries to offer an unobtrusive “background” for modern living. These clocks exemplify the point. These days most MUJI light fixtures are geared towards LEDs. Shown here: a selection of pendant lamps. The MUJI mantra—simple is best—worked out well in these silicon LED table lamps. This portable LED light is a big seller in Japan. After a morning of window-shopping, where else to head for lunch than Café & Meal MUJI? Sadly, not an option in the US. The good news: MUJI’s philosophy of blandness-as-virtue does not extend to the kitchen.